The warm balmy days of summer still feel a million miles away and although we have had a couple of days of fabulous sunshine this past fortnight the chill is still in the air. For some reason, coming in after working in the garden all day means I just want a nice relaxing bath with bubbles, a glass of something nice and a couple of delightful smelling candles. 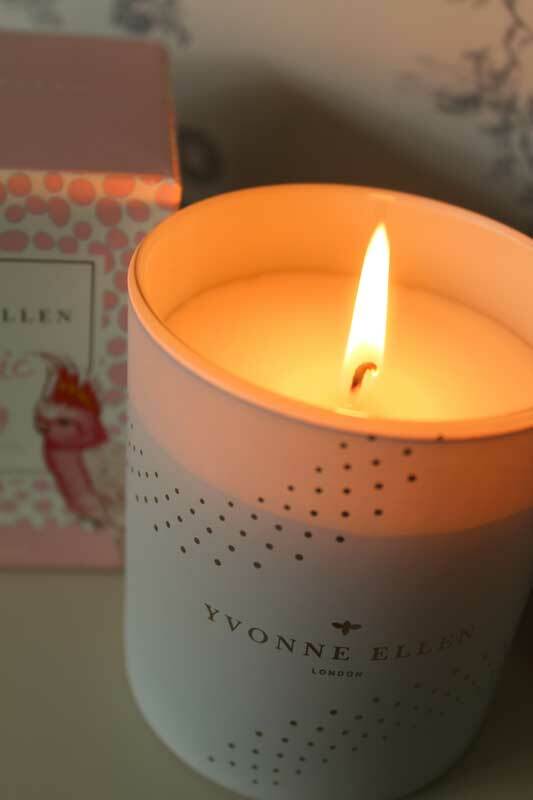 Wax Lyrical have partnered up with Yvonne Ellen to create a designer range of candles and home scents that are simple perfection. Yvonne’s homeware collections are truly unique ranges of tableware, designed to add charm and intrigue to your home. Her passion for beautiful fine bone china alongside a love of quirky, decorative illustration combines to create one of a kind ranges. Having used scented reeds in the past I have found a lot of them lackluster, not throwing out much scent and having to be placed somewhere predominant in the room to actually get scent from them at all. 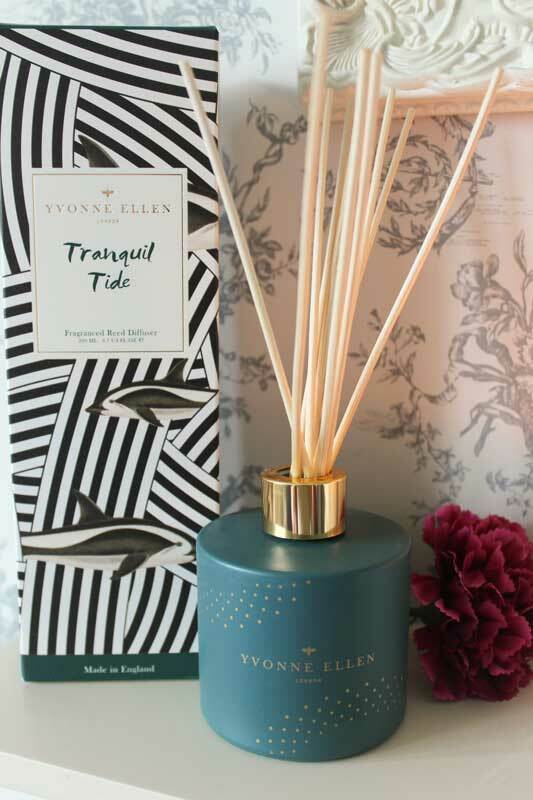 The Tranquil Tide reed scent has been on my windowsill for the past week and its the first thing I smell when I come into the room. Smelling of lavender and sandalwood with hints of woodland and flowers I really think this is the ideal scent for any room – it would be amazing in a bathroom as it does kind of smell like a rather well know mens body spray! 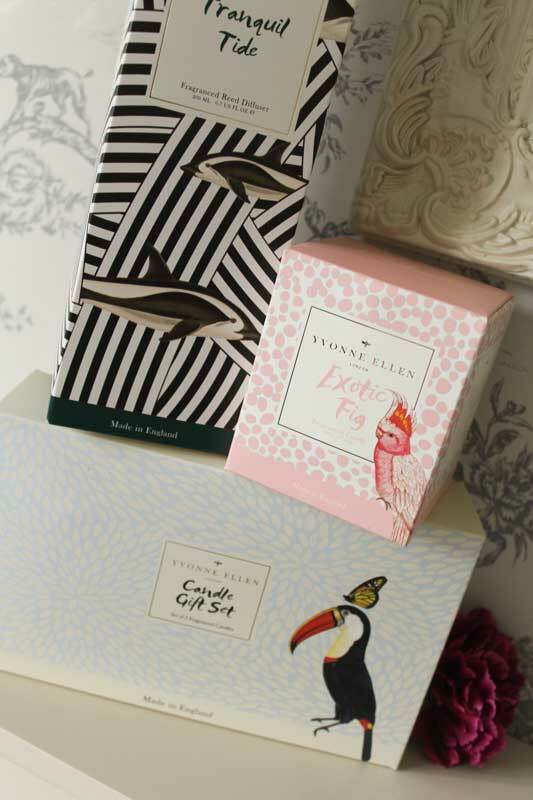 The name alone would make me pluck this next candle from the shelf – Exotic Fig! I swear I should have been born in the 60s as I am a total sandalwood fiend and just gravitate towards anything with the scent – even just a hint! The smell of warm fig fills the room and I can truly say this is one candle I will buy again and again, the scent throw is amazing and I have had this lit day in day out for over a week and the wax has barely moved! Featuring scents of juicy figs blended with green apple, layered upon petals of jasmine, quince and sandalwood, and closed with raspberry, rich tonka bean and patchouli, this exotic scent will provide your home with a fruity revival. 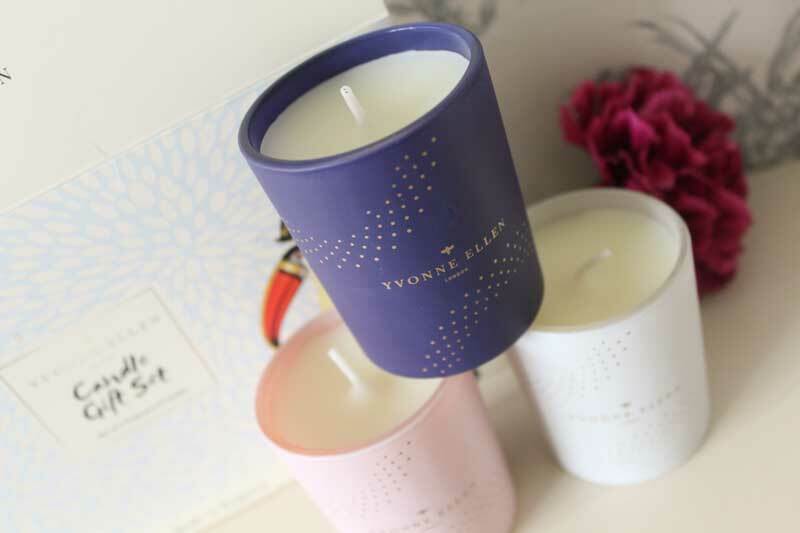 Also available is a trio gift set of votives, containing Exotic Fig, Vintage Palm and Wild Jasmine candles this would be a great taster set to see which scent you prefer. My absolute favourite is Exotic Fig but believe me none of the others are very far behind! I was sent these for the purpose of the review, all views and opinions are my own and genuine. NumNoms – A new addiction! Lickety Split Ice Creamery – Seaham. The Charm Works – heirloom pieces! They’re so pretty! And I bet they smell absolutely amazing!